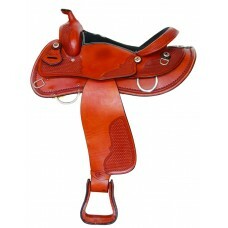 Another sporty yet elegant barrel saddle with attention to detail. 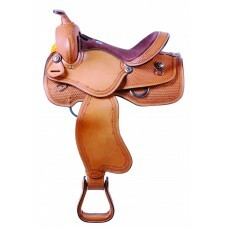 Expressively tooled and finished,..
Tree: Rawhide Covered Full Quarter Horse BarsHorn: 3½", Rawhide wrapped with capCantle: 4½"Weight: 2.. 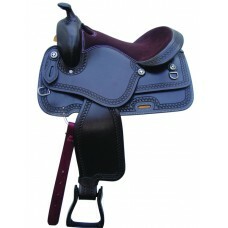 Attractive and affordable, this versatile saddle features detailed basketweave tooling on skirts and.. 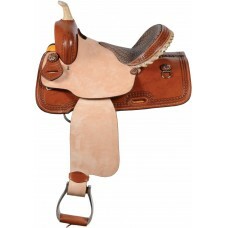 Built on an extra-wide tree our Sierra Draft Cross Trail Saddle features a roomy 7½" gul.. 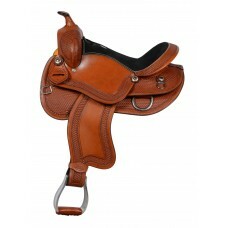 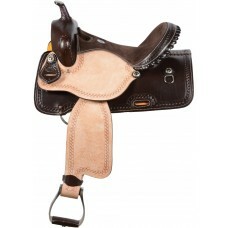 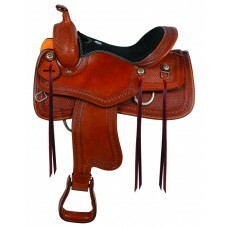 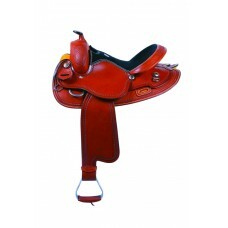 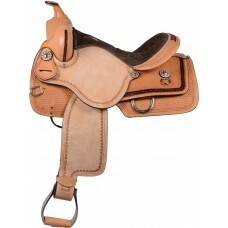 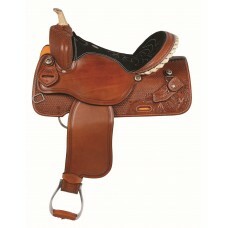 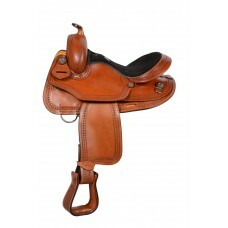 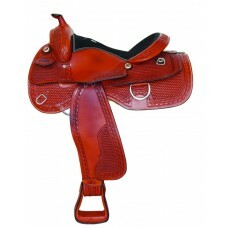 The details that you've come to expect from our Sierra saddles, with a refreshing, newly designed do.. 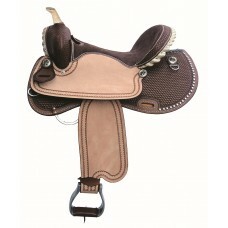 Built for speed and agility, this handy barrel saddle features a suede seat and rough out seat jocke..
Opposites attract in this classic barrel saddle. 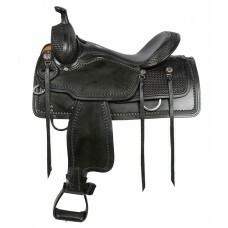 Refined dark & light contrast will get you not..
A new saddle for those shorter backed horses. 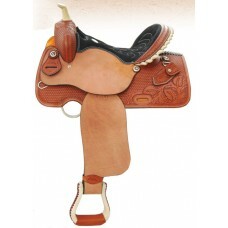 New starburst tooling and feather conchos give this sa..
Tree: Rawhide Covered with Full Quarter Horse BarsHorn: 3" High, 2½" CapCantle: 4"Rigging: Stainless..
A beauty of a barrel saddle, combining style, comfort and functionality. 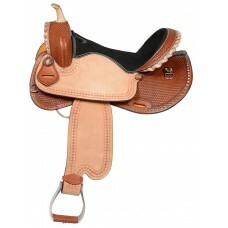 A true performing pearl!Tr..
A sporty looking barrel saddle that knows its job. 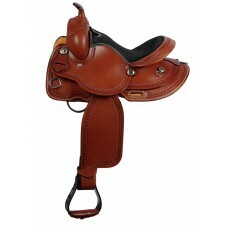 A combination of detailed tooling, decorative lac..
Tree: Rawhide CoveredExtra Wide Fit Suitable for Small DraftHorn: 3" High, 2½" Cap, Cantle: 3¾"Riggi..
A rugged and sporty looking trail saddle, ideal for shorter backed horses. 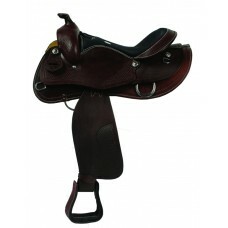 Rich dark brown leather g..
A modern round skirt pleasure saddle with new honeycomb tooling, combining up-to-date details with o.. 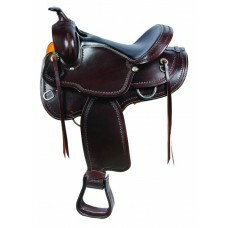 Stylish and affordable this classic trail saddle features supple dark chocolate coloured leather, su..
Tree: Rawhide Covered, Bars: Full Quarter HorseHorn: 2½" high, 2¼" Cap, Cantle: 3½"Stirrup Leathers:.. 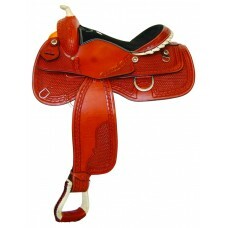 Extra seat padding and a higher cantle make this new saddle an excellent choice for those longer tra..
You and your little pony will make a real cowboy impression in this affordable all leather pony sadd.. 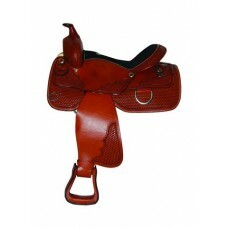 This soft chestnut round skirt saddle features extra wide bars and an 8″ gullet, ideal for hor..
SHILOH BARREL RACER SADDLE This sporty Barrel saddle features a laced gullet & cantle, detailed .. 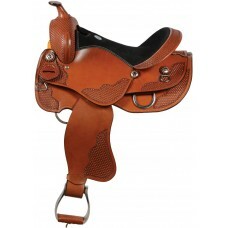 This classic double-skirted, double-rigged pleasure saddle combines rugged good looks with exception..
Tree: Rawhide Covered	Bars: Full Quarter Horse	Horn: 3½"	Cantle: 3½" Rawhid..